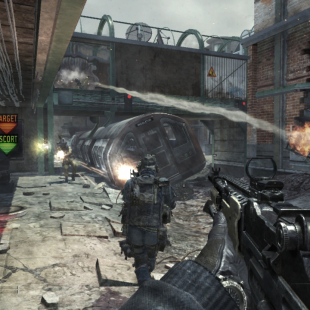 Sledgehammer Games lead called for Modern Warfare 3 fans to reverse its paltry Metacritic user score. Even though Modern Warfare 3 is making more money than the Second Coming of Michael Jackson would, it seems that wasn't enough for Glen Schofield the general manager of Sledgehammer Games, one of five studios that contributed to the game. Critics seem to like MW3 with scores averaging out to 89/100 on review aggregate site MetaCritic, but Schofield took umbrage with the 1.7 average user score on that website though. To combat the rash of 0 out of 10 scores, he beseeched his Twitter followers to head there to raise the bar today. He didn't anticipate the huge backlash against such a request - even from his fans - for manipulating the user score that way, and he quickly deleted the offending Tweet. "I don't usually do this but, if u like MW3 go 2 Metacritic.com & help our user score," Schofield said in his Tweet. "It's suspiciously low. Be honest but help if u agree." Fans cried foul at the manipulation, but the user score average did start to climb up. It now sits at a respectable 3.2 out of 10. While there's nothing inherently wrong with rallying your fans using social media tools like Twitter - indie developers do it all the time and they are called being marketing savvy - I think the problem with Schofield's action is the timing and the fact that MW3 is the big target in gaming right now. It's generally not a wise thing to call for more support when you are making a boatload of cash. That's like the Yankees asking for more money so they can buy more World Series championships.